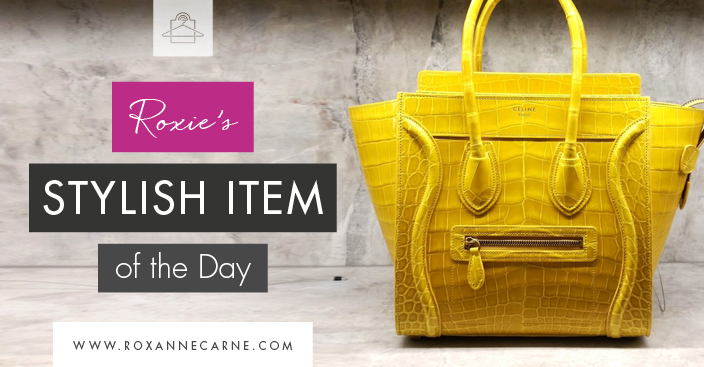 When selecting my favorite stylish items to share with you, I aim to select pieces that are inspiring, artful, and feminine. This week’s item hits those marks, but more than anything else, I’d say that it’s striking! During my recent visit to L.A., I visited Barneys New York of Beverly Hills for style inspiration (okay, and a bit of shopping – more on that in a future post!)? Anyhow, as I was perusing the handbag salon, one purse literally stopped me in my tracks. 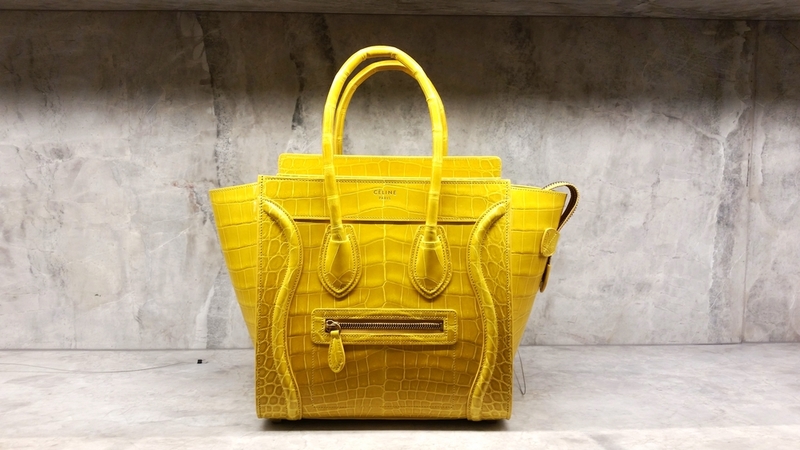 I found this beautifully made Celine micro luggage handbag made from crocodile and lambskin. 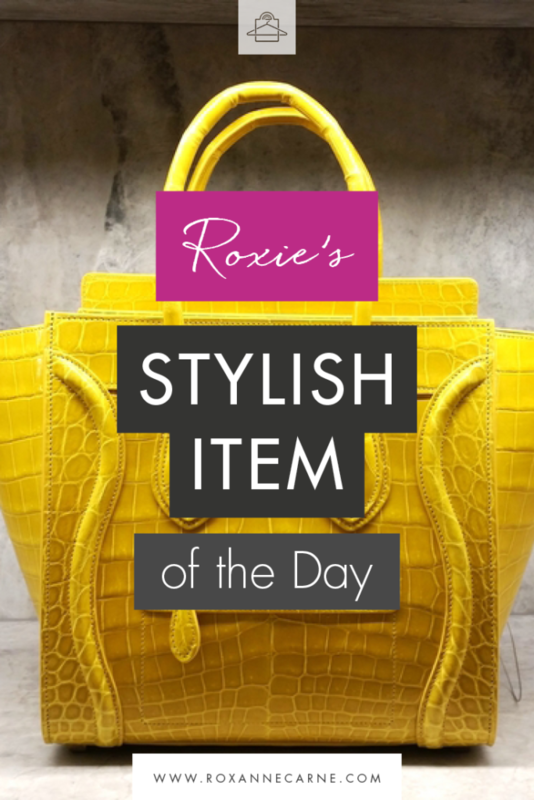 The bag’s bright zinc yellow color easily stole the show in the salon. Also, the finish was just simply amazing! Oh, and here’s something that I think you’ll get a kick out of – the price of the handbag was $32,700. And no, that’s not a typo, LOL. Nonetheless, it’s great eye candy and a true statement purse for sure. You’d have fun dressing around this awesome accessory – enjoy!